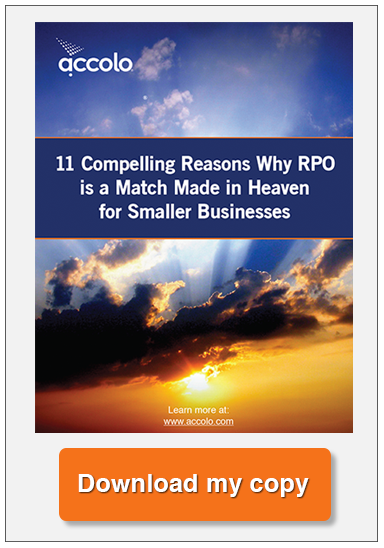 Recruiting Agency vs. RPO: What's the Difference? We all know that Thanksgiving is a time for friends and family to gather around the dinner table and enjoy a feast of turkey and all the fixings. It’s a time to be thankful for all the good things in our lives – right before we pass out from food overload, turn on the game, or run out to start our Christmas shopping (sigh). What you may not realize is that there are some striking similarities between preparing that much anticipated Thanksgiving dinner and managing the recruitment process. Several days before Thanksgiving, you work tirelessly to gather all the ingredients necessary to create the perfect Thanksgiving dinner for your gathering. From choosing the perfect sized turkey to finding the best ingredients for your pumpkin pie, you gather your ingredients in advance and scrutinize every detail (because you know your mother-in-law will too). In many ways, a similar process takes place when recruiters go about sourcing candidates. They search far and wide for the best candidates for open positions and screen them for a perfect fit. When they find the best candidates, recruiters pass them along to hiring managers to be cooked… I mean interviewed. Your guests have arrived and everyone is anxious to see what delectable dishes you’ve masterfully crafted for the much-anticipated turkey day meal. In fact, you’re such an accomplished Thanksgiving cook that others have slyly coaxed an invitation to the feast as well. It’s a full house and your meal is the headline. The same can be said for organizations that have carefully developed and maintained a positive employer brand. Job seekers eagerly wait in anticipation for an open position with a great company like yours and even imagine what life would be like if they worked there. When a position becomes available with your organization, you’ll have great talent lining up to get their foot in the door – without an invitation. Cooking Thanksgiving dinner is EXHAUSTING! You’re up at the crack of dawn prepping and making pies while the rest of the family is sawing logs on what would have been an awesome day for you to catch some extra sleep too. If that weren’t bad enough, you’re juggling so many side dish ingredients, and playing out potential family drama scenarios in your mind, that your head just might explode before the table is set. The word “frazzled” does not even begin to describe the cook on Thanksgiving Day. Recruiting teams often feel pretty frazzled too, and it’s not just a once a year kind of thing. In most organizations, recruiting teams are also juggling additional duties that often have nothing to do with recruiting. Many recruiters are just plain exhausted trying to keep up with all their duties, but unlike the Thanksgiving cook, the meal is never done. When Thanksgiving guests start to arrive, you go out of your way to make them feel welcome and comfortable in your recently cleaned and beautifully decorated home. You take their coat, offer them a drink, and engage guests in witty (or at least pleasant) conversation. When dinner is ready, you gently guide your guests to an exquisitely set table and serve them a great Thanksgiving feast. Great organizations manage candidates in much the same way. Managing the candidate relationship with timely communications throughout the hiring process, professional recruiting procedures, and a mission to treat candidates like important guests at your organization are all hallmarks of great candidate care. You wouldn’t dream of hosting Thanksgiving guests in a filthy home or starting dinner while they’re parked in front of the television waiting. Similarly, leaving candidates to guess at the outcome of a phone interview or wondering how your hiring process works doesn’t make them feel welcome or valued. Despite the cook’s best efforts, the mashed potatoes are runny, everyone wanted homemade cranberry sauce instead of a can, and dinner is ready, but the turkey isn’t done yet. It’s a nightmare! No one likes to disappoint guests, especially on Thanksgiving. The same can be said for recruiting teams. Despite their best efforts, recruiters sometimes disappoint their hiring managers. 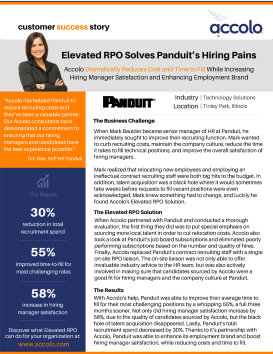 Whether it’s an unsatisfactory candidate, a missed deadline, poor communication, or an imperfect hiring process, hiring manager satisfaction can be a serious problem in some organizations. Unfortunately, poor hiring manager satisfaction can have much more devastating effects than a disappointing Thanksgiving dinner. Although a bit tongue in cheek (pun intended), you can definitely draw some parallels between managing the recruitment process and cooking Thanksgiving dinner. HR leaders often feel the heat of recruiting missteps, just like the cook. Unfortunately, they feel the heat all year long when they don’t have a good recruitment process in place, but the Thanksgiving cook can relax when the meal is done. Except for the cleanup… sigh. In all seriousness, Thanksgiving is a wonderful American tradition all cued up to remind everyone to be thankful for the blessings in their lives. So kiss the cook, lend a hand with dinner, don’t complain if the turkey is cold, and have a terrific day.